This year has been about redefining life for me. So I would like to talk about redefining how we teach our children about Jesus. I am a single mom with two wild and crazy little boys. Let me tell you, co-parenting is hard! Especially when you share time with your littles and can’t do all the things you would like to do with and for them. For me, one of the biggest problems is that they go to their dad’s on weekends, so they don’t go to church. They are rarely with me on a weekend and he does not take them. What do you do when taking your kids to church on Sundays isn’t an option? There are resources available for you if you just look for them. There are books and children’s devotionals, even tv shows that teach the lessons from the Bible, and don’t forget the most valuable resource of all, The Bible itself! I will leave you to sort through those. But there is one that I just have to mention. I love this family devotional written by my friend Susan Chamberlain Shipe! 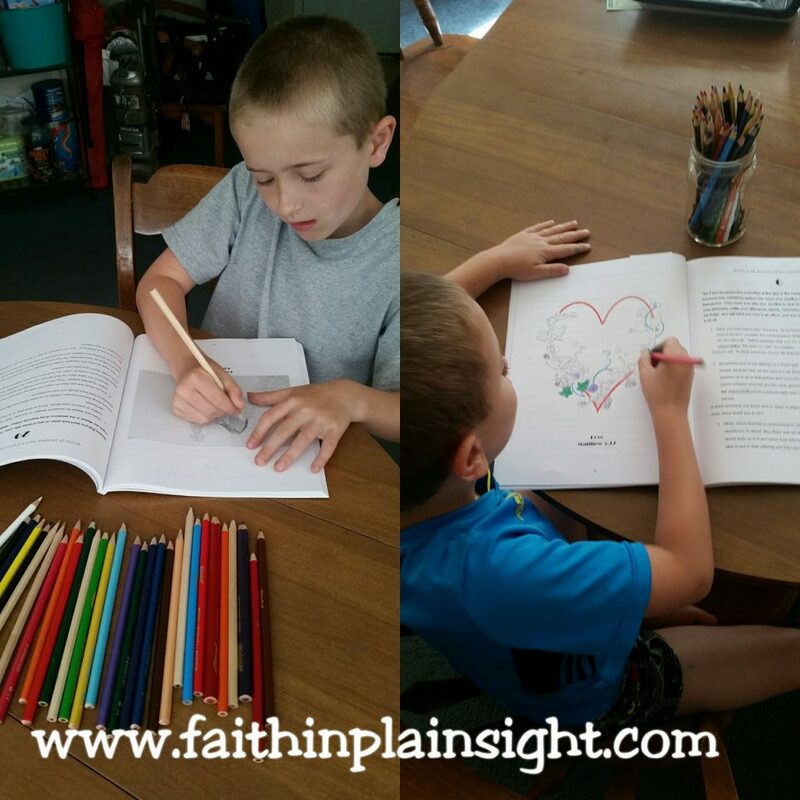 In 52 Commands of Jesus for Children Susan not only provides 52 scripture based devotionals, she also sprinkles in tips for helping to drive the points home. While gently lending a reminder to parents that we too are still ever learning these lessons alongside our children. I’ve never seen a devotional of this magnitude that truly teaches both parent and child. This truly is a devotional for the whole family! While there are 52 lessons contained within these pages, I believe the true lesson for parents is to walk in grace while teaching our children. We after all have been at it a lot longer than they have and we still haven’t perfected our walk with Jesus. You can pick up your copy here!!! I promise you won’t be sorry you did! Did I mention the coloring pages? There is one that goes along with each weekly lesson and you can print however many you want off from here! Your kids will love them! Mine did. Mommy may have even colored a page! But what else is there? This past school year I accepted an invitation from a dear friend to go to a weekly women’s Bible study group at her mother’s church. They had childcare in the form of an AWANA program. AWANA is a nonprofit program that teaches children to know, love and serve Christ. My kids absolutely loved it! They had such fun every Wednesday night! They would fight over who got to recite their weekly verses for me to show me that they had memorized them first! The best part, they weren’t just learning them and forgetting them. One night I was telling my oldest about a song that refers to John 3:16. I started the verse and he jumped right in and finished it! Nothing will make a momma’s heart smile more than knowing here babies and learning about Jesus every week from a great team. But sadly, when the school year came to an end, so did the AWANA program. What now? Now comes what I affectionately like to call the Tour De VBS! We have a ton of local churches that provide free week long Vacation Bible School programs for children, and they are spread out throughout the summer months. They are usually around two hours a night for a week and they are theme based Bible programs. 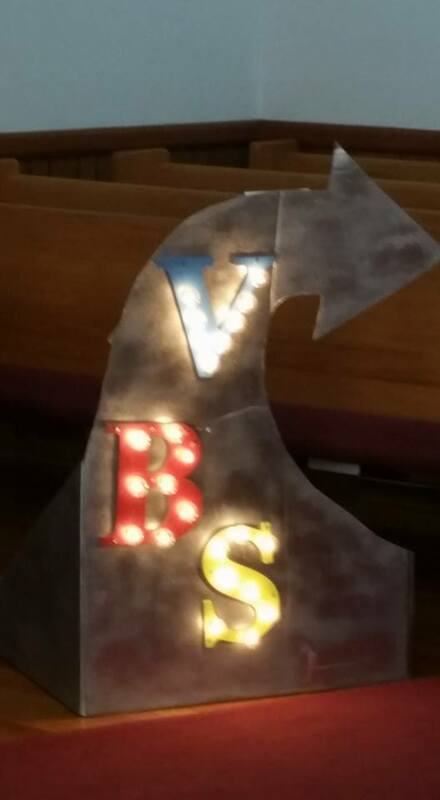 My kids are currently in their third week of VBS, this week at our own church which excited this mom! It gives them a chance to learn about Jesus and have some interaction with other kids their ages. It is hard to go from being in school with classmates everyday to being home with mom everyday. There is always of course, that they learn by example. When they ask me if I went to church on Sunday I had better be able to truthfully tell them that I did. They see me reading my Bible throughout the week and it is always on the table by my computer. It may not be perfect and it is definitely non-traditional, but that is what we do to combat the problem of not being able to go to church on Sundays. Sometimes you just have to think outside the box. Do you have any other non-traditional tips for me? I am always looking for ways to improve and win at this mom thing! God speed to you, too. I was raised by a single mom . I know it’s not easy. I am glad you have the LORD to give you strength. Keep the faith. Visiting from FMF #Fmfparty. You are a great mom! “Train up a child in the way he should go, and when he is old, he will not depart from it” God is smiling down on you! Keep it up, beautiful!